Plav (Montenegrin Cyrillic: Плав, Albanian: Plavë) [plâv̞] is a town in north-eastern Montenegro. It has a population of 3,615 (2003 census). 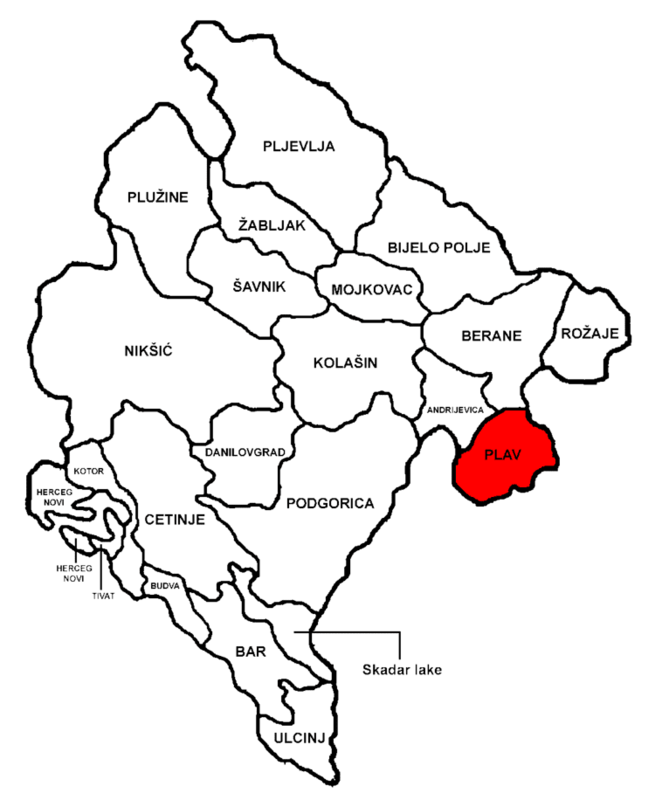 Plav is the centre of Plav Municipality (population of 13,805). 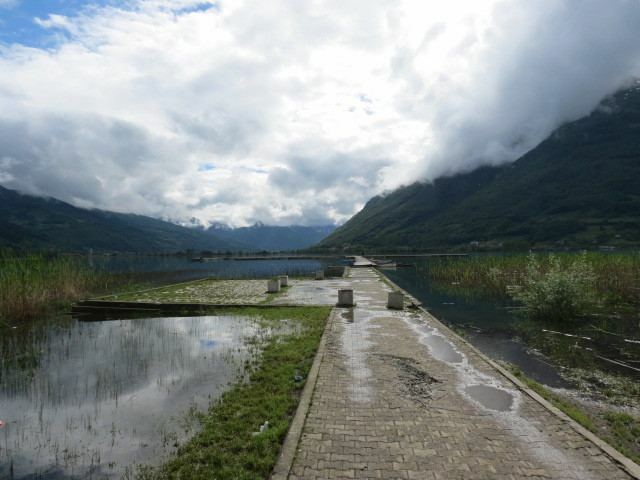 The name Plav (Плав) is derived from Slavic plav, "a flooded place" (poplava, "flood"). In Albanian it is known as Plava. 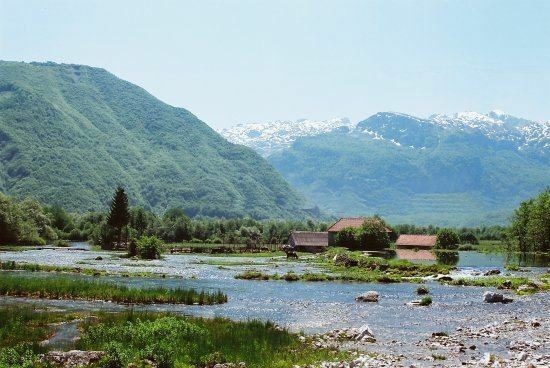 Plav is located at the foot of the Prokletije mountain range, adjacent to the springs of the river Lim. 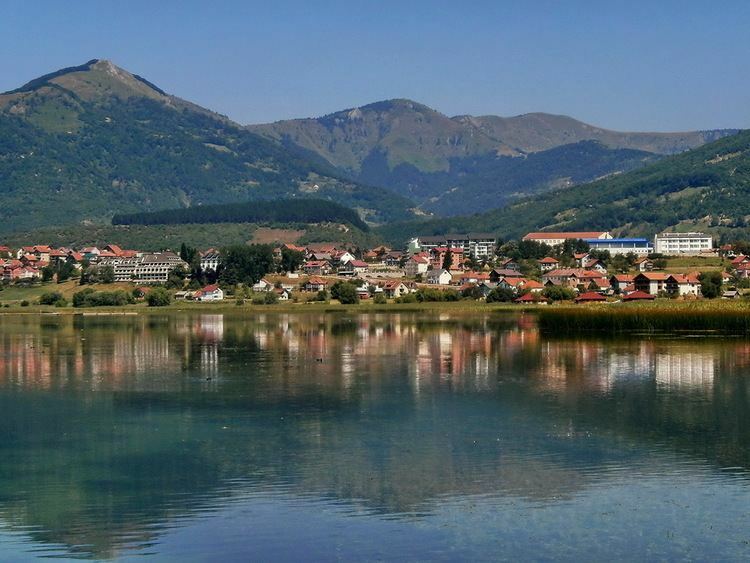 The area contains many lakes and the most known is Lake Plav, one of the largest in this region. The lakes Hrid and Visitor are mountain lakes, and Visitor is noted for its floating island. Plav is also renowned for its karst wells, among which are Ali Pasha of Gucia Springs and Oko Skakavica. Villages in the municipality include Gusinje. In the Middle Ages, there was a župa (district) named Plav at the source of the flow of the Lim river and around the Plav lake. It is mentioned in several medieval Serbian documents. The settlement of Plav itself was founded by the Ottoman Empire. The Ottoman census organised in 1582-83 registered the Plav nahiyah within the Sanjak of Scutari with 18 villages; according to historian Milan Vasić all inhabitants had personal names with a Serbian character, and no Muslims were present. From the mid-17th-century the Kelmend tribe from northern Albania and the Kuči tribe began settling the Plav-Gusinje ravine, competing with other Serbian and Muslim Albanian immigrants from Malësia and Montenegro, that were predominantly Serbian-speaking. The small towns of Plav and Gusinje were also of mixed population, whose mother tongue was Serbian. The province was inhabited by a Serbian population (including to a lesser extent a Muslim population of Serb origin and language) and an Albanian population. 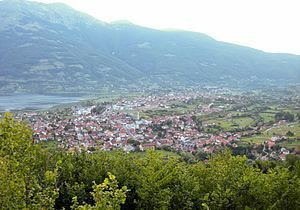 In 1878, following the Treaty of Berlin, the city of Plav was ceded to Montenegro by the Ottoman Empire despite having a Muslim-majority population. However, armed resistance of the League of Prizren and their victory against Montenegrin troops at Battle of Novšiće (1879) prevented the implementation. Ottomans had to cede Ulcinj to Montenegro after pressure from the Great Powers in 1881. Plav finally became part of Montenegro after the First Balkan War in 1912. In 1939, the population of Plav was estimated to have been predominantly Islamized Serbian, while that of Gusinje predominantly Albanian and bilingual. The notable families of Plav at this time were the Medunjani, Šeović, Luković, and Šabović–Ferović. In the area of the Plav municipality there are 13 sports clubs and societies that are actively engaged in sports and competitions. Some are in the First Montenegrin league and some in the Second Montenegrin league. Esad Mekuli, Albanian poet and scholar.